This wee gem from the 60s Sunday night magazine show records a pivotal New Zealand conservation moment. Wildlife Service ranger Don Merton experiments with rescue techniques to save the endangered North Island saddleback (tieke), a wattlebird surviving on Hen Island. Aided by electronics expert John Kendrick (of National Radio bird call fame) he uses calls to lure the spry birds into mist nets before moving the precious cargo to cat-free Cuvier Island. The world-leading skills developed here were to be crucial in saving the black robin and kakapo from extinction. This final installment of Hayden’s traverse across latitude 45 finds him in the ice-sculpted isolation of Fiordland. In this episode he travels through diverse flora (lush and verdant thanks to astonishingly high rainfall); and with botanist Dr Brian Molloy follows the footsteps of early bird conservationist Richard Henry. Mohua (yellowhead), takahe, weka and tiny rock wrens feature in the fauna camp. Reaching the sea, the underworld depths of George Sound house a world teeming with abundant life. The bid to raise the level of Fiordland’s Lake Manapōuri (to provide hydro-electricity for an aluminum smelter) resulted in controversy between 1959 and 1972. This film charts a (still-timely) debate as arguments for industrial growth and cheap energy vie with views advocating for ecological values. New Zealand’s first large-scale environmental campaign ensued, and its “damn the dam” victory was a spur for the modern conservation movement — drawing an unprecedented petition, Forest and Bird, and figures like farmer Ron McLean and botanist Alan Mark into the fray. 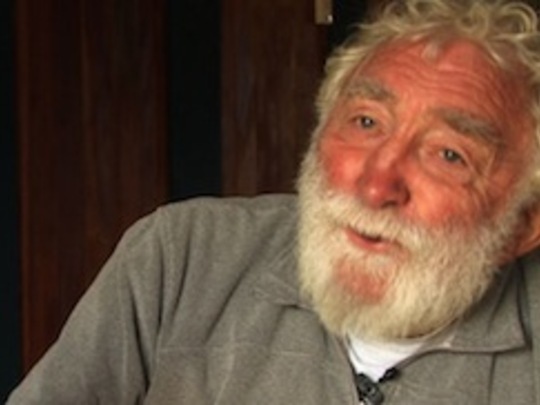 Englishman David Bellamy is a world famous botanist, author, broadcaster and conservationist. He came to prominence in New Zealand in the 1970s and 1980s with numerous natural history programmes. His trademark beard, larger than life personality and ability to make science understandable made him a popular addition to family viewing time. In 1990 he came to New Zealand to host Moa’s Ark, a landmark documentary series telling the history of our country’s unique evolutionary past. In recent years, Bellamy has become a more controversial figure with his claims that global warming is just part of the earth’s natural climate cycle.